Take a close look – it’s a wall. 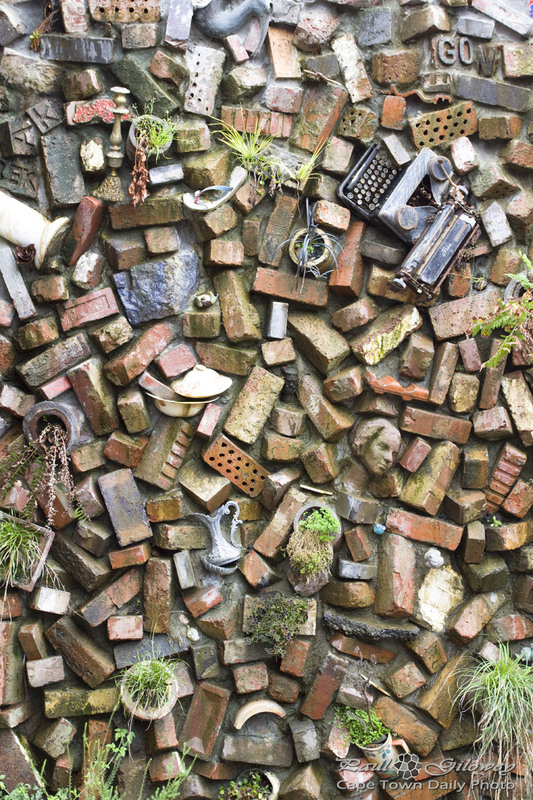 A rather interesting wall filled with an eclectic mix of items. Isn’t it awesome? I spotted this outside of Tribe Coffee at The Woodstock Foundry while visiting on Saturday. If you belong to a photo-walk group then I guarantee that your photographer-friends will hugely appreciate you insisting on a stop-over. There’s great coffee (at a great price) and a plethora of interesting photos to be taken. Keep an eye out over the next day or two – I’ll share a few close-up photos of items in the wall, as well as an assortment other pieces of art that I found at The Woodstock Foundry. Posted in General on Tuesday, 28 May, 2013 by Paul. I’m super keen to see the artworks…. :-) thank you! Re this wall, I would love a wider view that puts the wall into context, i.e. is it part of a building or does it enclose a court yard, etc. I believe Melbourne’s a lovely city. I did a quick search and found that the Johannesburg and Durban daily photo sites seem to have stopped publishing photos, so yeah, sorry about that. Perhaps check out http://www.citydailyphoto.org/ – there are bound to be other daily photo sites from around SA.